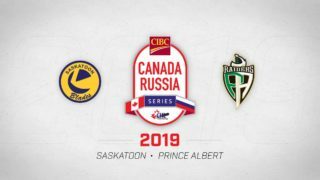 Tonight – The Blades continue their exhibition schedule as they face-off against the Prince Albert Raiders for the third time this pre-season. 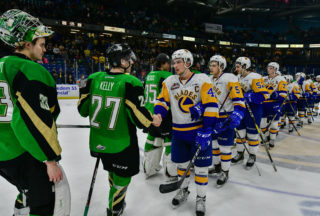 Saskatoon comes in 4-0 while the Raiders have only played two games, both against the Blades, and sit 0-2 as a result. The Blades have outscored their opponents in the pre-season 18-9, with goals coming from 14 different skaters. 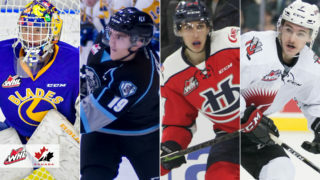 The roster – Saskatoon still has 29 players on the roster, but four forwards are currently away at NHL camps; Chase Wouters (Tampa Bay), Eric Florchuk (Washington), Kristian Roykas-Marthinsen (Washington), and Max Gerlach (Arizona). The matchup – Michael Farren leads the Blades in scoring through the pre-season with 2 goals and 2 assists in 3 outings. Kirby Dach, Brad Goethals, and Tristen Robins are right behind with 3 points each. On the back end, the Blades are still carrying 9 defensemen with rookies Majid Kaddoura (3A, 10PIM) and Zach Ashton (1G, 2A) leading the way in points and penalty minutes. Between the pipes it’s been a battle between 19-year-old Dorrin Luding (2.50GAA, .889SV%) and 16-year-old Koen MacInnes (2.00GAA, .933SV%) who each have made two starts for Saskatoon; each earning two wins and looking impressive. Last year’s team MVP Nolan Maier has yet to start a pre-season game as the 17-year-old backstop has already seen high-end competition in August where he was Team Canada’s starting goalie at the Hlinka-Gretzky Cup. 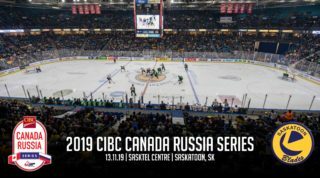 The opponent – Rookie import forward Aliaksei Protas leads the Raiders with 3 assists in two games against the Blades; Carson Miller has scored twice. 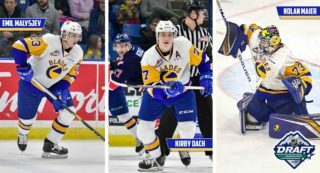 The Raiders have 5 players currently attending NHL camps: forwards Cole Fonstad (Montreal), Noah Gregor (San Jose), and Parker Kelly (Ottawa). Defenseman and team captain Brayden Pachal (Calgary), and goaltender Ian Scott (Toronto). Doors open at the Legends Centre in Warman at 6:00pm, game time is 7:00pm. Tickets are available all day at the Legends Centre for $10 each, with proceeds going towards Warman Minor Hockey. Reminder: There will not be a live stream or radio broadcast, so follow along on the Blades Mobile App or on Twitter for live updates.